Music playback has been interrupted because your Qobuz account is currently being used on another device[?]. We remind you that your account is strictly personal and cannot be used on several devices at the same time. 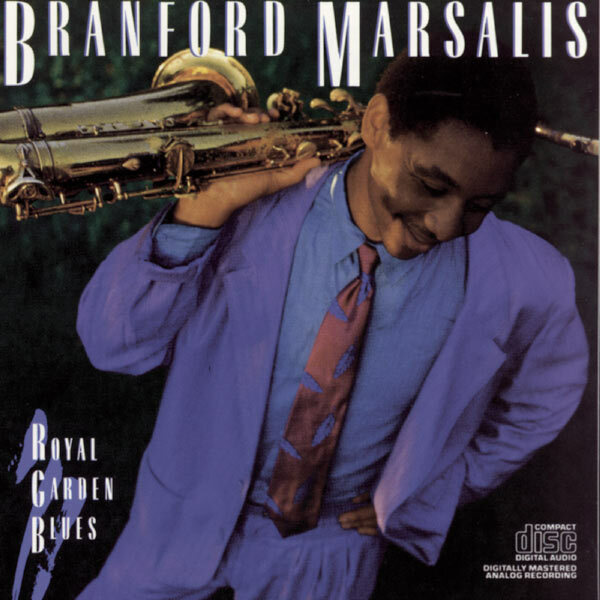 Delfeayo Marsalis, Producer - Delfeayo Marsalis, Edited By - Delfeayo Marsalis, Mixing Engineer - Ralph Peterson, Drums - E. Marsalis, Composer - Tim Geelan, Engineer - Ellis Marsalis, Piano - Alan Moy, Mastering Engineer - George Butler, Executive Producer - Patrick Smith, Mixing Engineer - Cheem Geelan, Recording Engineer - Jim Scott, Engineer - Jim Scott, Mixing Engineer - Branford Marsalis, Performer - Ron Carter, Bass - Branford Marsalis & Buckshot Lefonque, Tenor Saxophone - Tony Dawsey, Mastering Engineer - Dennis Ferrante, 2nd Engineer Copyright : 1986 Sony Music Entertainment Inc.
Delfeayo Marsalis, Producer - Delfeayo Marsalis, Edited By - Delfeayo Marsalis, Mixing Engineer - K. Kirland, Composer - Tim Geelan, Engineer - Kenny Kirkland, Piano - Alan Moy, Mastering Engineer - George Butler, Executive Producer - Patrick Smith, Mixing Engineer - Jim Scott, Engineer - Jim Scott, Mixing Engineer - Branford Marsalis, Performer - Branford Marsalis & Buckshot Lefonque, Tenor Saxophone - Branford Marsalis & Buckshot Lefonque, Soprano Saxophone - Branford Marsalis & Buckshot Lefonque, Mixing Engineer - Jeff Watts, Drums - Tony Dawsey, Mastering Engineer - Dennis Ferrante, 2nd Engineer - Charnett Moffett, Bass Copyright : 1986 Sony Music Entertainment Inc.
Delfeayo Marsalis, Producer - Delfeayo Marsalis, Edited By - Delfeayo Marsalis, Mixing Engineer - Tim Geelan, Engineer - Alan Moy, Mastering Engineer - George Butler, Executive Producer - Patrick Smith, Mixing Engineer - G. Gershwin, Composer - Jim Scott, Engineer - Jim Scott, Mixing Engineer - Branford Marsalis, Performer - Branford Marsalis & Buckshot Lefonque, Tenor Saxophone - Branford Marsalis & Buckshot Lefonque, Mixing Engineer - Jeff Watts, Drums - Tony Dawsey, Mastering Engineer - Larry Willis, Piano - Dennis Ferrante, 2nd Engineer - Charnett Moffett, Bass Copyright : 1986 Sony Music Entertainment Inc.
Delfeayo Marsalis, Producer - Delfeayo Marsalis, Edited By - Delfeayo Marsalis, Mixing Engineer - Tim Geelan, Engineer - Herbie Hancock, Piano - W. Marsalis, Composer - Alan Moy, Mastering Engineer - George Butler, Executive Producer - Patrick Smith, Mixing Engineer - Cheem Geelan, Recording Engineer - Jim Scott, Engineer - Jim Scott, Mixing Engineer - Branford Marsalis, Performer - Ron Carter, Bass - Branford Marsalis & Buckshot Lefonque, Tenor Saxophone - Jeff Watts, Drums - Tony Dawsey, Mastering Engineer - Dennis Ferrante, 2nd Engineer Copyright : 1986 Sony Music Entertainment Inc.
Delfeayo Marsalis, Producer - Delfeayo Marsalis, Edited By - Delfeayo Marsalis, Mixing Engineer - Al Foster, Piano - C. Williams, Lyricist - C. Williams, Composer - Tim Geelan, Engineer - Alan Moy, Mastering Engineer - George Butler, Executive Producer - Patrick Smith, Mixing Engineer - Jim Scott, Engineer - Jim Scott, Mixing Engineer - Ron Carter, Bass - Branford Marsalis, Performer - S. Williams, Composer - S. Williams, Lyricist - Branford Marsalis & Buckshot Lefonque, Tenor Saxophone - Branford Marsalis & Buckshot Lefonque, Soprano Saxophone - Branford Marsalis & Buckshot Lefonque, Mixing Engineer - Tony Dawsey, Mastering Engineer - Larry Willis, Piano - Dennis Ferrante, 2nd Engineer Copyright : (P) 1986 Sony Music Entertainment Inc.
Delfeayo Marsalis, Producer - Delfeayo Marsalis, Edited By - Delfeayo Marsalis, Mixing Engineer - L. Willis, Composer - Tim Geelan, Engineer - Marvin Smith, Drums - Alan Moy, Mastering Engineer - George Butler, Executive Producer - Patrick Smith, Mixing Engineer - Jim Scott, Engineer - Jim Scott, Mixing Engineer - Branford Marsalis, Performer - Branford Marsalis & Buckshot Lefonque, Tenor Saxophone - Branford Marsalis & Buckshot Lefonque, Mixing Engineer - Tony Dawsey, Mastering Engineer - Ira Coleman, Bass - Larry Willis, Piano - Dennis Ferrante, 2nd Engineer Copyright : 1986 Sony Music Entertainment Inc.
Delfeayo Marsalis, Producer - Delfeayo Marsalis, Edited By - Delfeayo Marsalis, Mixing Engineer - Tim Geelan, Engineer - Kenny Kirkland, Piano - Alan Moy, Mastering Engineer - George Butler, Executive Producer - Patrick Smith, Mixing Engineer - Jim Scott, Engineer - Jim Scott, Mixing Engineer - Branford Marsalis, Performer - B. Marsalis, Composer - Branford Marsalis & Buckshot Lefonque, Tenor Saxophone - Branford Marsalis & Buckshot Lefonque, Soprano Saxophone - Branford Marsalis & Buckshot Lefonque, Mixing Engineer - Jeff Watts, Drums - Tony Dawsey, Mastering Engineer - Dennis Ferrante, 2nd Engineer - Charnett Moffett, Bass Copyright : 1986 Sony Music Entertainment Inc.
Branford Marsalis Quartet's The Secret Between the Shadow and the Soul is in 24-Bit Hi-Res on Qobuz! Bruce Springsteen, Daft Punk, Electric Light Orchestra, Pharrell… Columbia Records boasts one of the most eclectic and star-studded music catalogues in existence, and is undoubtedly a huge supporter of Hi-Res audio. Founded all the way back in 1887, the company is now the oldest surviving brand name in recorded sound, and only the second to produce recorded records. Over 125 years later, it is safe to say that Columbia Records, now part of the Sony Music Group, has established itself a timeless icon in music. With his knack for composing unique narratives and his flawless harmonic precision, Omer Klein really comes into his own in trios. Yotam Silberstein's Future Memories is in 24-Bit Hi-Res on Qobuz! J.J. Cale, one of the most influential figures in the history of rock'n'roll, releases a brand new posthumous album.